Manchester United have opened talks with Marcus Rashford over a new contract. The 21-year-old has been heavily impressive since Ole Gunnar Solskjaer took charge as the new interim boss. Having been in and out of the starting lineup under Jose Mourinho, the youngster has started all 8 Premier League games since the Portuguese’s departure. 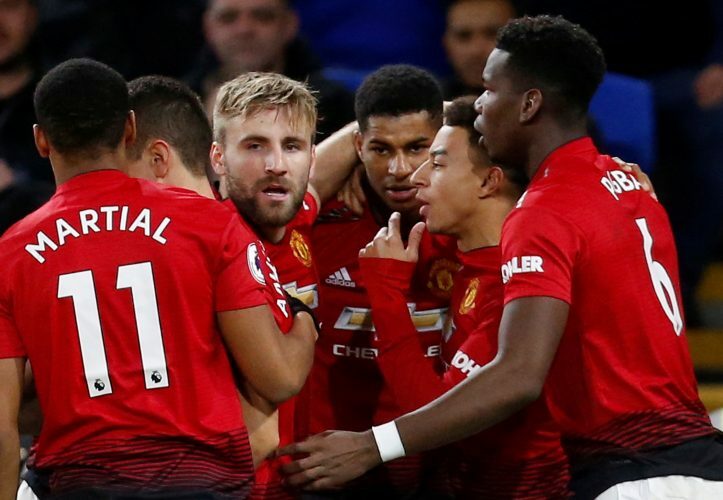 Rashford scored his 10th goal of the season in the latest fixture against Leicester City, with six of those coming under Solskjaer’s management. His performances since the start of 2019 also won him Manchester United‘s Player of the Month award for January. Further, he also became the second-youngest Red Devil, after Ryan Giggs, to make 100 appearances for the Mancunian giants. The England international’s recent displays have urged the club to take measures to secure his long-term future. In fact, Sky Sports claim that Manchester United have already initiated talks over a new contract with the player’s representatives. Rashford’s current deal with the Old Trafford outfit lasts until 2020, with an option to extend by a further year. However, the 20-time English champions would much rather offer their starlet a better deal than extend his current one. The United academy graduate has owned the decorated number 10 shirt this season, with Solskjaer himself describing Marcus as “a very exciting player to work with”. If Rashford continues to maintain these levels and develop steadily, Manchester United will surely have a world-beater at their disposal in the years to come.